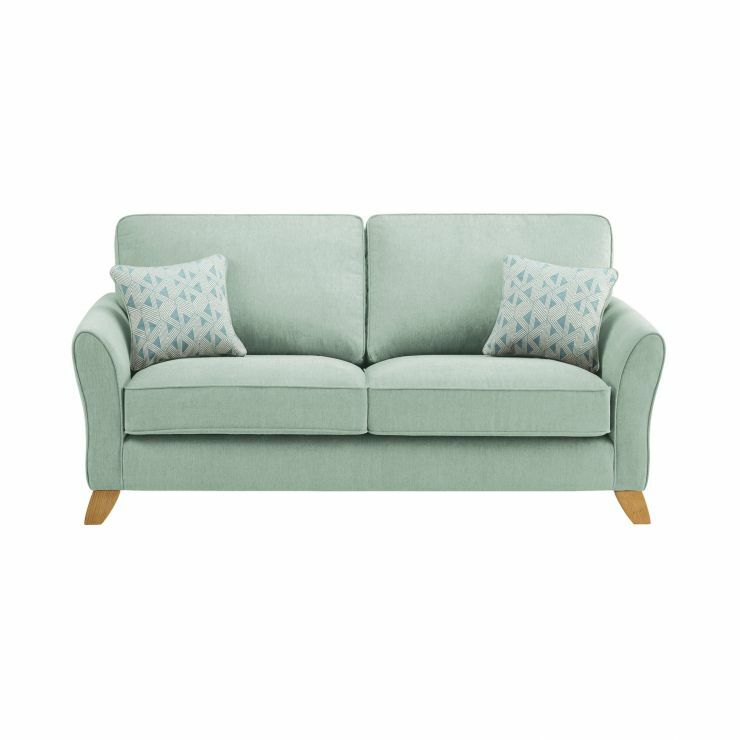 Create an exquisite place to relax with the Jasmine 3 seater sofa. Boasting flared arms and a luxuriously deep seat, it will add elegant flair to your living room. 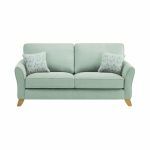 No detail has been spared when it comes to quality – just like the other sofas from the Jasmine range, it is built with a sturdy frame which incorporates solid hardwood and is supported by oak feet to make it exceptionally robust. Our exclusive seat cushion design means there’s no need to turn the seats, while back cushions are packed with high-density foam and rolled carded fibre layers for excellent shape retention and that indulgent feel when you lean back. The gorgeous fabric covers are perfectly contrasted by the two complementary scatter cushions.